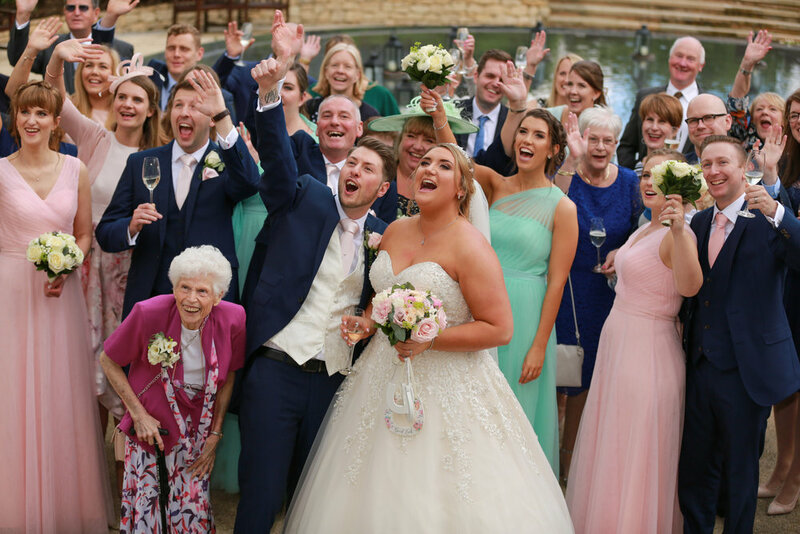 Your wedding at The Vineyard will be remembered as incredibly special because of the people there sharing it with you and the occasion itself. The rooms inside the hotel are spacious and well suited to a great party atmosphere. The food and drink are first rate and the staff are welcoming and friendly. There is even a spa on site for those guests staying over to enjoy before or after the day itself. 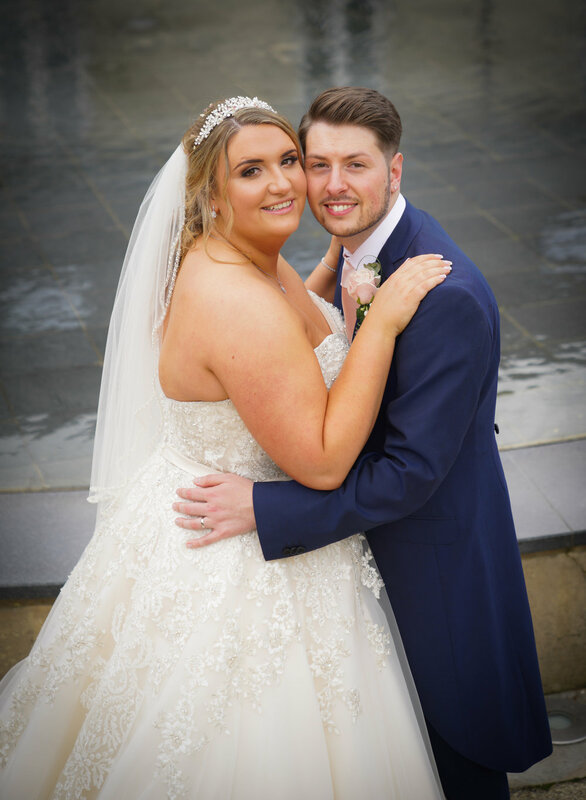 The greenery and paved area at the front of the hotel allow us to get some great photographs of you and your guests. The central water feature makes a good background of an everybody group shot - see the image at the top of this page. The reception rooms at The Vineyard can be fabulously decorated to your taste for your perfect wedding breakfast. The rooms themselves are suitably large to accommodate all of your guests in comfort with space to move between the tables. Being light with plenty of windows means the photographers will not struggle to capture priceless reaction shots during the speeches. For your evening reception party there is plenty of space for a band/DJ and a dance floor and tables for guests to sit and enjoy the party atmosphere. A fabulous room for your wedding breakfast. Space for a large dance floor, DJ and/or band and tables for your guests to sit and chat.